4 Mind-blowing Sports and Activities You Should Try! If your current exercise routine doesn’t spark joy, it’s time for change – all you’ll need for your next fitness adventure is an open mind. Try your hand (or feet) at some of these activities, and you may find a new sport to embrace. Traditionalists may eschew yoga’s modern variants, but if your objective is fun, look no further. Those who favour inversions can attempt aerial yoga, where both conventional and adapted poses are carried out with a hammock for support. For music lovers, there’s “silent disco” yoga, where upbeat tunes and instructions are delivered via headsets to participants. Slacklining is a safer, closer-to-ground alternative to tightrope walking. It involves the challenge of maintaining one’s balance while walking or performing stunts on a line made of nylon webbing, typically tied across two trees. Enthusiasts aspire to be “one with the rope”, and you know you’re in the zone when you feel as if you’re walking on air. Health benefits are aplenty too, as the sport is said to be a full-body exercise that engages all the primary muscles. 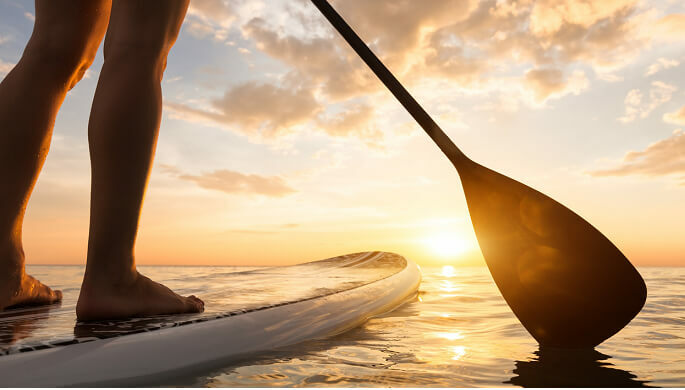 Stand-up paddling – or SUP – gained prominence after celebrities such as Jennifer Aniston and Rihanna were reportedly incorporating it into their fitness routines. As its name suggests, SUP involves standing on an oversized surfboard – in water – while using a paddle to move. A cross between golf and frisbee, disc golf has been in Singapore for over a decade and has gained some following. Like traditional golf, the objective of disc golf is to traverse a course and score by hitting basket-like targets with as few throws of the disc as possible. Its advantage over golf: it’s far more affordable and can be played in any open land area with natural elements that serve as obstacles. With disc golf, you can boost your range of motion and flexibility, and focus on your balance, core, shoulder and back muscles. It’s also an excellent way to get outside and have fun.